Last week the Province of Manitoba announced a single-window intake for 6 programs, including Neighbourhoods Alive! Community Initiatives, Neighbourhoods Alive! Neighbourhood Renewal Fund, Community Places, Community Planning Assistance, Hometown Manitoba and Partner 4 Growth. Intake for 2017/18 closes September 11, 2017. 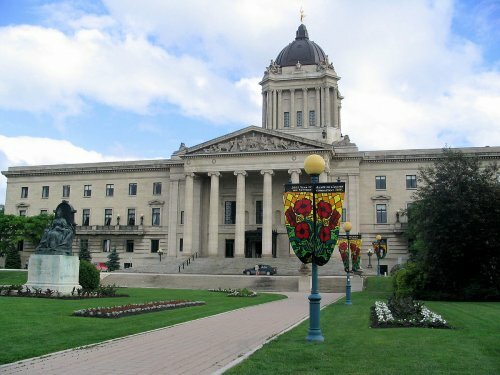 CCEDNet Manitoba has spoken with the civil service, and has received some further clarity. Applications for the 2017/18 fiscal year are being accepted until September 11, 2017 and the civil service has committed to making decisions by end of October, 2017 (this does not account for the time it takes to go from project approval to a signed agreement). Projects must conclude by the end of March, 2018. This means organizations have at most 5 months to begin and complete their proposed initiative. As these programs are still considered to be under review, it is unknown if or when there will be an intake for 2018/19. Multi-year agreements, whether under the NA! Neighbourhood Renewal Fund or Neighbourhood Development Agreements, will continue to be funded, however these agreements are still subject to annual approval by Treasury Board. While the NA! Community Initiatives and the NA! Neighbourhood Renewal Fund have a minimum $5,000 for project size, the civil service could not speak to an average size of project. Newcomer support, either through building on or encouraging involvement in the community. According to the civil service, “accessibility” is to be understood as a broad term. For instance, access to the labour market would be included. Other considerations that will be prioritized include "Projects that involve partnerships with two or more community organizations, demonstrate broad local government and community support and are regional in nature will receive additional priority consideration." Furthermore, "Community organizations may submit other requests for strategic projects, which may not meet the program criteria outlined above, but that meet provincial priorities, leverage funding from other sources, strengthen local capacity, support a community’s ability to improve its economic and social conditions, assess needs, determine objectives and create a strategy for progress." We understand provincial priorities to be the 3 themes noted above, as well as the content in the mandate letters provided to Ministers last year. Organizations are encouraged to get in touch with program staff to discuss further questions.